Hello everyone and Happy New Year to you all. I know it’s been a long long time since I posted on my site. I don’t really have a valid reason except to say other activities seem to have taken precedence and the weeks slipped away. However, having received numerous requests from readers to continue writing, I feel inspired to get going again. I wonder what stands out from your Christmas celebrations. For me, it was something unexpected. During the present unwrapping at my daughter’s house, where we always celebrate Christmas, my grandchildren, Nic 24, Jesse 21 and Emma 19 recounted how their Mum had used them as her “shopping elves”. 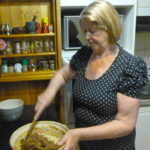 She and her husband went off to Mallacoota the week before Christmas and delegated the shopping to Nic, Jess and Emma. As each gift was unwrapped they recounted the story of how the purchase was made. I couldn’t believe how much thought and enjoyment they had put into purchasing each item. They recounted searching the internet, finding the best bargain, making sure the colours were suitable and checking sizes and had us all in fits of laughter at their antics. They saw it as an enjoyable experience and not a chore. Long may that continue. Does anything stand out for you? If so share as a reply. Considering going to a Retreat! I had the idea it would be invigorating and fun to try a retreat as an alternative holiday. I knew Ken wouldn’t consider it so I suggested it to my daughter who looked at me a little pensively but agreed to consider the idea. I trawled through the internet but everything I came up with offered luxury accommodation. My idea was being out in the bush in perhaps a mud hut, meditating and eating vegetarian or vegan food and skinny dipping in a creek. Nothing like that seems to be on offer. I conveyed what I’d learnt to my daughter who had a big smirk on her face whilst handing me a book titled: Nine perfect strangers – can a health retreat really change your life forever? by Liane Moriarty. She had read it on her holiday. Now having read the book myself, I have to say it gives cause for thought – do they put a little something in your green smoothy????? Here’s the theme of the book which I thoroughly recommend: Read and enjoy. The retreat at health and wellness resort Tranquillum House promises total transformation. Nine stressed city dwellers are keen to drop their literal and mental baggage and absorb the meditative ambience while enjoying their hot stone massages. Watching over them is the resort’s director, a woman on a mission to reinvigorate their tired bodies and minds. These nine perfect strangers have no idea what is about to hit them. 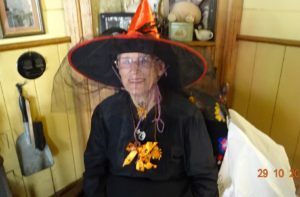 Late last year my dear friend Joan Blain passed away at the age of 85. 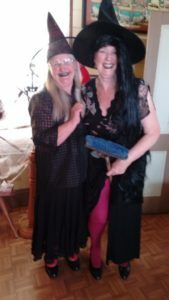 She was a reader and contributor to my blog from the beginning. I did report to you that she had a bad fall and broke both her legs from which she never recovered. Such a brave woman continuing helping her husband on the farm even though she had MS from her early 30’s. 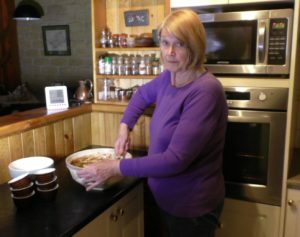 Joan contributed a story from her early days in my post of November 14, 2014, about starting up a printing business on the farm. 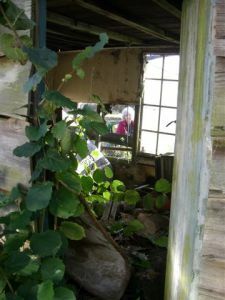 The building, though crumbling, still stands and one of Joan’s son’s kindly transported her to the location so she could look through the window and recount her memories. 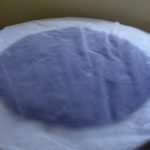 Who’s heard of or tried eco dyeing? There’s always something new and exciting to learn. Glenda, Treasurer of the spinning group of which I’m a member, attended a show where eco dyeing was being demonstrated and introduced the group to the technique. We were all absolutely amazed at the results achieved. 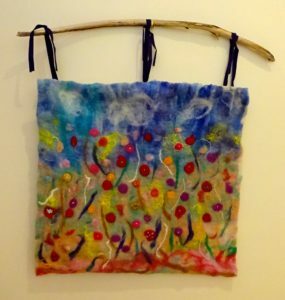 Eco printing or eco dyeing is a contemporary application of the traditions of natural dyeing In eco dyeing plants are enclosed in textiles or paper, bundled by winding over rods or stacked in layers and then steamed or immersed in hot water to extract the pigments and produce a print made with plant dyes. Leaves, stems, flowers, buds, seeds and roots may be used also bark and wood. 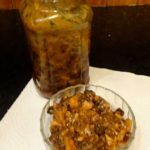 This recipe is vegetarian but it’s so hearty meat eaters won’t be disappointed and it has the added advantage of freezing well. 1. Preheat the oven to 220°C/Fan 200°C/Gas 7. Line a large roasting tray with baking parchment. 3. Tip three-quarters of the roasted squash into a blender and blitz to a purée; set the rest aside. 4. Bring a large pan of salted water to the boil. Add the macaroni and cook until almost al dente (two to three minutes less than the time suggested on the packet). 5. Meanwhile, for the sauce, melt the butter in a large saucepan over a medium heat. Add the flour and cook, stirring, for one minute, then whisk in the milk and cook, whisking, until the sauce thickens slightly. Parmesan and nutmeg. Stir until the cheese has melted, then stir through the squash purée to make a rich, smooth sauce. Take off the heat and season with salt and pepper to taste. 6. Drain the macaroni, add to the sauce and stir well. Tip into a large, deep baking dish, about 25 x 30cm. 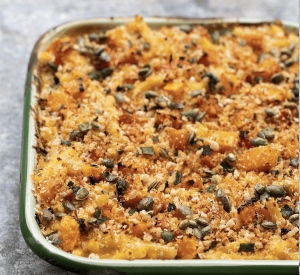 Scatter over the rest of the roasted squash, the sage, sun-blushed tomatoes and breadcrumbs. Drizzle with the oil. Place on the middle shelf of the oven, turning on the oven grill at the same time. Bake for 10 minutes. 7. Take out the dish, scatter the pumpkin seeds evenly over the surface and return to the oven for five minutes or until the topping is golden. Serve at once, with a green salad. To freeze: Cool and pack in a lidded foil tray (or several trays). Defrost fully in the fridge, then remove the lid and reheat in an oven preheated to 200°C/Fan 180°C/Gas 6 for 30 minutes, until hot all the way through. If the surface appears to be browning too quickly, cover loosely with foil. 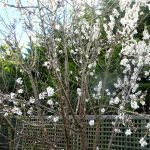 This entry was posted in Christmas preparations, Enjoying good company, Family activities, Fitness and Exercise, Frienship, Gardening, Harvesting home grown produce on January 6, 2019 by Janice Graham. My readers probably think I’ve discontinued blogging, my last post being in January. Many things have happened but I think a break has revitalised me. As a blogger you worry that readers are becoming bored with your style or your message; I certainly hope not but it’s possible. By the time we reach retirement and beyond many people have passed through our lives who we call friends but are they actually friends or acquaintances who we call ‘friends’ because they move in the same circles as we do. Facebook comes to mind where people appear to have hundreds of friends. There are friendships we form in our younger years that we are lucky enough to maintain throughout life. These friendships have endured the test of time and whilst we may not be in contact as often as we would like, the ties that we formed never break. I am blessed to have one such friend, Olive. We met when we started school, dare I tell you, around 75 years ago and know each other inside out. There is nothing we wouldn’t do for each other. I also maintain a friendship with Joan Blain through e-mail and the occasional phone call. 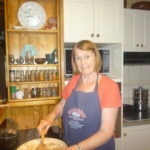 Joan is in care now in the UK as she has MS. We met when our children went to judo club. I so admire her bravery and true grit. Then there are friendships that come upon us unexpectedly and form into strong relationships that stand the test of time. It’s not easy to be a true friend. There are times when loyalties are tested, misunderstandings occur, thoughtless acts cause pain and in the worst scenario the friendship is broken. Through life I am sure we have all experienced the loss of friendship and for whatever reason it inevitably hurts. We always have to ask what part we played in the breakdown. Was it my fault, could the break have been avoided. You analyze yourself and question what type of friend you are. Can a broken friendship be repaired and be the same as before I wonder. I believe we all need friends, someone we can confide in, know we can rely on and trust, whose company we enjoy and feel a sense of well being when we are together. A lot to ask – what does friendship mean to you ? 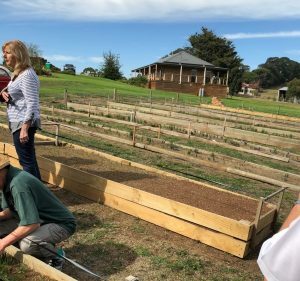 I was fortunate enough to be asked to visit a Saffron Farm with Janet Staben, a member of Women on Farms, as her guest at one of their monthly meetings and outings. 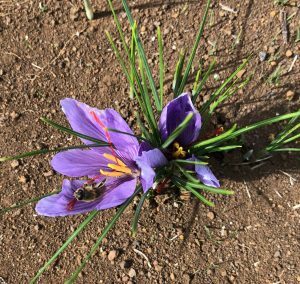 This turned out to be a very interesting experience as I had little knowledge of the production of Saffron and the hard work involved. We were able to participate in the picking of the crocuses. Every crocus is counted and records meticulously kept. The saffron crocus is thought to have originated in south west Asia or the Mediterranean region. It is a sterile flowering plant, i.e. it does not produce seed and therefore its spread throughout the world has been dependent on human activity and the trade and transport of the corms. Each corm only produces one flower. Saffron is one of the world’s most expensive spices by weight and is often adulterated by the inclusion of other materials. In Australia the season for harvest is March to May, the flowers being picked early in the morning, the stigmas removed and dried before being processed. It seems the actual flower itself has no use. I did ask if they could be used as a dye but apparently no colour is produced. Imagine he cost of dyeing with saffron powder which results in a striking yellow/orange colour. 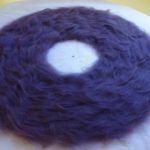 As many of you may know I am a member of the South Gippsland Spinners and Fibre Arts Group, based in Korumburra, Victoria which gives me the opportunity to meet with other like minded ladies (sometimes a few blokes) in pursuing our various crafts and sharing our knowledge with those wishing to learn. 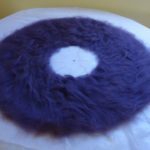 My particular interest is in wet felting; it’s absolutely amazing what can be produced from this ancient craft. Last week some members of the group came to my place to spin/felt and chat. Chat we certainly did over lunch. 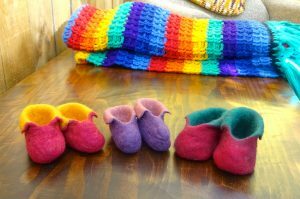 Our theme was felting baby booties which turned out a treat. If you are looking for an activity in your retirement and have an interest in a particular craft or set of crafts, I urge you to seek out a group, go along and see what’s on offer. It will give you the greatest pleasure and allow you to develop your talents. 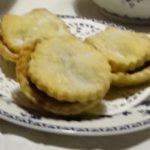 I have been given the opportunity to share this recipe with you by Teresa Verney (member of South Gippsland Spinners & Fibre Arts Group) who inherited it from Ina a friend of many moons ago. While Ina was alive it was a guarded secret but now we are able to enjoy. Teresa brought the slice to the spin/felt/chat day and we did it justice by eating every morsel. I baked the slice myself today and it’s absolutely yum. Method – mix melted butter and sugar together then add dry ingredients followed by beaten egg and milk. Turn into a lined slice tin and bake in a moderate oven for approximately 20 minutes or until skewer comes out clean. Ice with lemon icing while still warm. Teresa says she makes up a butter cream icing and mixes with lemon juice to cover cake then sprinkles over additional coconut. 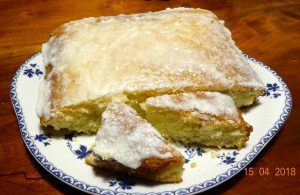 I varied this slightly by mixing icing sugar with lemon juice and coconut and spreading over cake – worked really well, though have to say the butter cream icing makes it just a little bit more special. 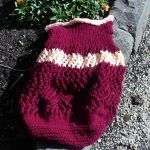 This entry was posted in Enjoying good company, Frienship, Interesting people, Knitting and crafts, Outings, Recipes on April 15, 2018 by Janice Graham. Hello everyone – O’h dear where did August go? Unfortunately I had a few health problems, not serious, but enough to put a spanner in my works so to speak. Glad to say I am back on top of everything and ready to write again. How easy it is to take good health for granted and going through a bad patch really does bring this home to us all. Volunteering – why do we do it? My first topic is volunteering. Why do we do it? I recently read that the best definition of volunteering is time willingly given for the common good and without financial gain. That’s true but there’s more to it than that. I believe there’s a need within us to share our skills and knowledge, to be involved and to communicate with the wider community in whatever way we can. The spectrum of volunteering is very wide, there are opportunities for all abilities and ages at every level, but however we volunteer and for however much time we are able to give, the rewards personally are immense.  96% of volunteers say that it “makes people happier.  95% of volunteers say that volunteering is related to feelings of wellbeing.  Just a few hours of volunteer work makes a difference in happiness and mood.  Sustained volunteering is associated with better mental health.  A strong correlation exists between the well-being, happiness, health, and longevity of people who are emotionally kind and compassionate in their charitable helping activities.  The experience of helping others provides meaning, a sense of self-worth, a social role and health enhancement. Last weekend I visited the National Wool Museum in Geelong so decided it was a good opportunity to ask the volunteers on duty their reasons for volunteering. Firstly I spoke to the lady who directed us to all the exhibits. She responded that she lived alone and it was wonderful to be able to get up in the morning and have a purpose. Next I chatted to the demonstrator of a huge Axminster Carpet Loom. He said he wanted his skills to be preserved as there were few people left who could operate the machine. Lastly I spoke to one of the guides. His reasons were a little vague though I suspect he enjoyed the interaction with overseas visitors. Later I visited the Port Lonsdale Lighthouse and posed my question to the volunteer on duty. She said she was passionate about her area and its conservation and wanted to make the public aware. There are obviously a myriad of reasons why we volunteer but it’s not just about the giving of our time, it is also the personal rewards we receive. I would really love to hear what you think. Do you volunteer or are you considering volunteering, perhaps you were a volunteer in the past. You can leave your comments by clicking Leave a Reply at the top of the page. Anniversaries can be happy or sad times but they give us an opportunity to look back over the years. 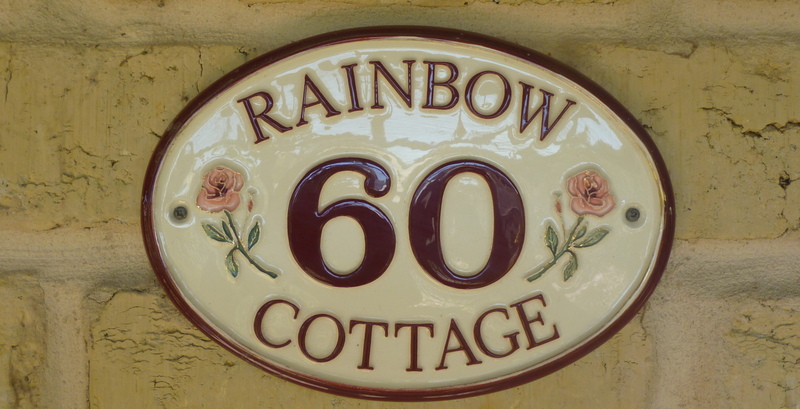 Ken and I did just that last weekend when it was the 50th birthday of our son Gareth and our 57th Wedding Anniversary. Let me share with you the story of our romance. I hope you enjoy. Mine is not a fairy tale romance, no knight on a flying charger came into my life but the man who did snuck in quietly with no fanfare ……. My lemon tree is bulging with fruit so I set about making up juice ice block trays. 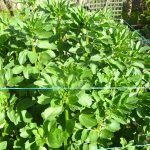 If you also have heaps of lemons or are donated with some it’s well worth the effort to have a long term supply on hand. All you need to do is juice the lemons and freeze the pure juice in trays then store in bags in the freezer. It’s so easy just to take out a block when needed. By the way I recently read some quite alarming facts. The label on Woolworths lemon juice, 500ml $1.65, states that it contains: Reconstituted Lemon Juice (99.9%), Food Acid (Ascorbic Acid), Natural Flavour, Preservative (223). Preservative 223 is in the sulphite group, it’s Sodium metabisulphite, which can cause allergic reactions. 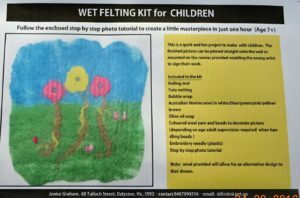 Members of the Coal Creek & Fibre Arts Group, based at the Coal Creek Community Park & Museum in Korumburra, Gippsland, Victoria, decided to showcase their various skills by video. 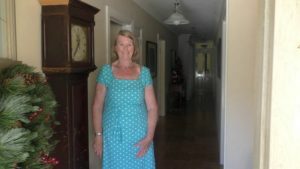 The first of these videos in a series, is now available and features Ingrid Riddell on the Great Wheel and the Chakra. I must thank my husband, Ken, for the time and effort he put into making this video possible and to Ingrid for demonstrating so professionally. 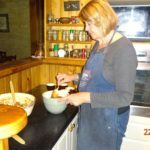 This entry was posted in Enjoying good company, Family activities, Harvesting home grown produce, Interesting people, Knitting and crafts, Projects, Recipes, Volunteering on September 13, 2017 by Janice Graham. 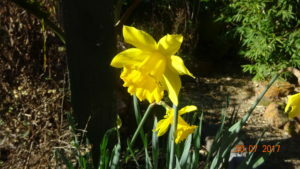 Hello everyone – sorry it has been so long since I blogged; you must have thought I’d got lost. On the contrary I have been knee deep in projects and activities which have taken up far more time than I ever imagined possible. In fact I think I’ve been trying to do far too much and really feel the need to take things a little bit quieter which I find easier said than done. I’m sure you all know the feeling. Sometimes it’s like we’re in a race. Recently I’ve contemplated on the wonderful role mentors can play in our lives or the reward we can gain by being a mentor ourselves. Sharing skills and helping others achieve their goals can be rewarding and fulfilling. I have been fortunate to experience the wisdom and guidance of two ladies, Janet Staben and Ingrid Riddell who I met when joining the Coal Creek Spinners Group. 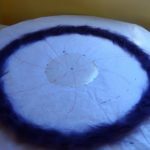 When I started I really had no idea about the art of spinning and all that is entailed in the preparation of fibre. With their patience and forthright approach I have gained so much knowledge and insight. They are always there to help, give support and answer any questions. I must tell you a little about them. Janet has been spinning for over 17 years and produces the most amazing skeins of wool which she knits into all kinds of garments. She doesn’t stop there, she crochets, makes lace, felts, and recently has taken up rag rug construction. I think there’s a lot more in her bag of skills. I will be forever grateful to her for her role in my quest to spin. Let me share with you a photo of a beautiful garment Janet has just completed for entry into a Vintage Knits Exhibition. 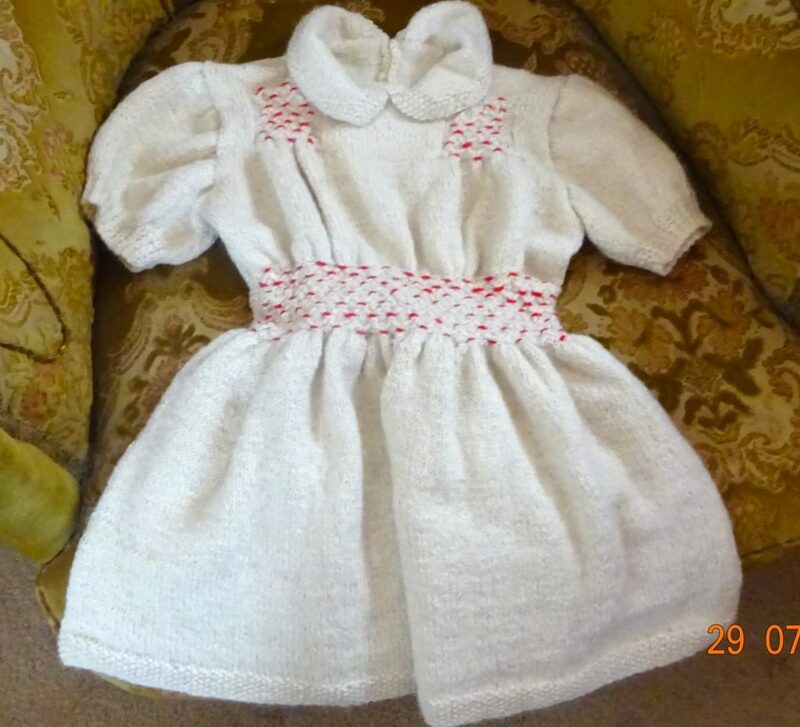 It’s from a pattern Janet found of a dress her mum made her when she was a child (blog 14/02/17). Time with Ingrid is an education in all things fibre. Her head is absolutely full of knowledge and her hands full of skill. 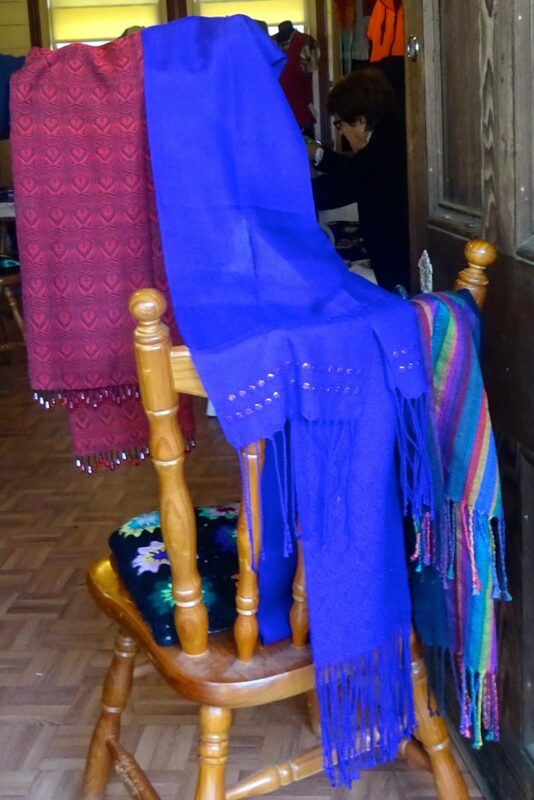 In 1990 she won a world wide competition for the longest plied thread of yard from 10g of wool, She has undertaken an apprenticeship as a weaver and subsequently ran weaving courses and took on special weaving commissions like curtains and bar mitzvah apparel As with Janet there’s much more to tell. Ingrid says she thinks it’s in her blood as her Swedish half sister, who she didn’t meet until later in life, is a weaver. Seek out a mentor you will be rewarded many times over as I have been. 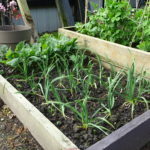 If you have been following my blog for a while you will remember that a couple of years ago I decided to downsize the veggie garden – o’h dear I’m still having trouble doing just that. The joy of seeing my seeds emerge is just too much so perhaps just one more season !! 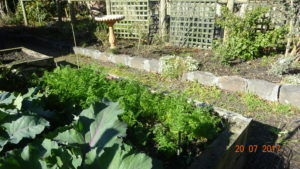 There’s already the prospect of early carrots, beetroot, broad beans and onions. I think I have far too much kohlrabi; it’s not a very popular vegetable but I find it so versatile as you can roast, boil, use in salads or just have as a crunchy snack. 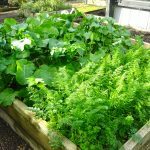 Do write and let me know how you are going if you love vegetable gardening as I do. Did any of you try making the newspaper pots highlighted in my blog from July last year. Here’s the Youtube video to watch again. They worked so well for me. A good olive oil is a staple for any household and it has plenty of uses that stretch beyond salads and stir frys. 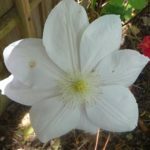 Here are a few I came across recently which you may find useful. Hair conditioner – Keep your hair smooth and healthy in between visits to the salon or washes by using olive oil. Brush a little olive oil through your hair and leave overnight. Remove sticky substances – If you have sticky substances lingering on spoons and measuring tools, or even from stickers on glass gars, olive oil will help remove it. Apply with a cloth and rub gently until the residue is gone. Make a herb mix – Save time with cooking by adding a mix of herbs to an ice cube tray – oregano, sage and rosemary for example – then top up with olive oil and freeze. Then you can simply add it to a frying pan when you’re ready to cook next for a perfectly seasoned mix. Remove grease from hands – If you have car grease or paint on your hands, put some olive oil into the palm of your hand, sprinkle with salt, then rub together. Follow with soap and water; the grease will be gone and your hands will feel soft and smooth, too. Furniture polish – You can restore some of the shine from your old furniture using a mixture of two parts olive oil and one-part lemon juice. Apply onto a paper towel and rub into the furniture. Then, using a clean cloth or paper towel, rub to remove any excess residue. I really love this one. A couple of weeks ago Ken and I travelled to Bendigo to attend the Sheep and Wool Show and catch up with our grandson who is working at the general hospital. So much to see, do and buy. Ken has put together a short film of Woolcraft Highlights from the show. 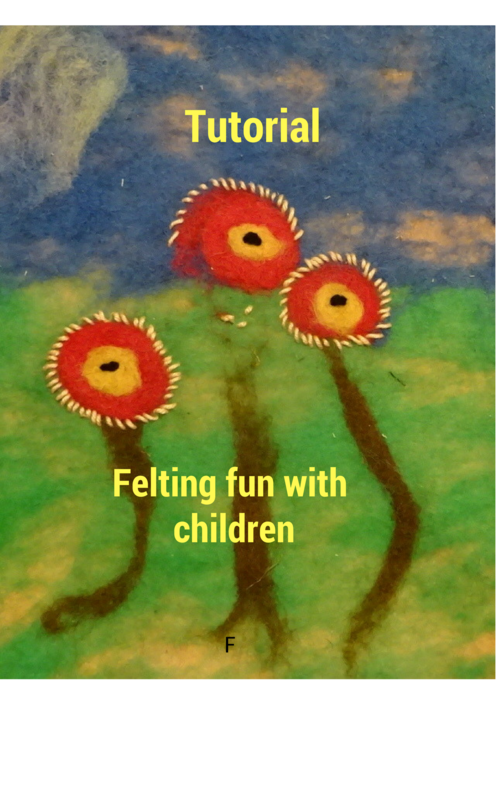 You will see me demonstrating felting with the Victorian Feltmakers; quite an experience and hard work. This soup is great if you are trying to cut down on calories (mmmm, yes I know, how boring). 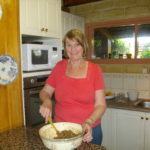 I found it recently on a Scottish cooking site. It’s reported to be super good as it’s high in Vitamin A & B12, Dietary Fiber, Potassium and Vitamin C, each portion containing in the region of 120 calories. 1. Heat the oil in a large pan, then add the mustard seeds, after a couple of minutes they will start to pop. Don’t let them heat for any longer or they will burn. 2. Add the onions leeks and season them. Saute them for about 5 minutes until they have started to soften. 3. Add the carrots and allow them to cook gently for 5 minutes. 4. Add the stock and bring to the boil. When it has reached boiling point, reduce it to a simmer and leave it to cook away for about 20 minutes until the carrots have softened. 5. Turn of the heat, add the milk and whizz with a hand blender or in a food processor until smooth. 6. 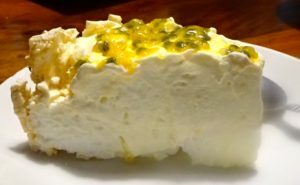 Serve with a swirl of milk or a dollop of yoghurt and some chives. 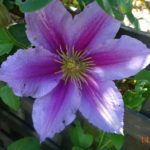 This entry was posted in Enjoying good company, Frienship, Gardening, Interesting people, Knitting and crafts, Projects on July 29, 2017 by Janice Graham. 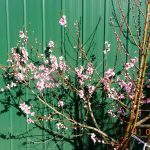 Hello everyone – a month has slipped by since my last post and although I always intend to write more often, I just looked at the calendar and realised I’d failed to put pen to paper so to speak. Lots of things have been happening, one of which is that I have been elected President of the Coal Creek & Fibre Arts Group after the sitting President had to sadly resign due to the ill health of her husband. I hope I will be able to do justice to the task and fill her shoes admirably. When I mentioned this to her she said I may have a hard job as she took size 11 to which I replied that I took size 11 too. Mmmm I’m not sure what this means, is it an omen ! Firstly I would like to share with you a short story that I heard the author, Ken Stokoe, read on Radio National Life Matters recently. I am sure if we thought about it many of us could write our own love story with a happy or sad ending. Unfortunately this story has a sad ending though it does reflect life’s journey so I hope you will enjoy it as I did. It’s not about Verona, not Romeo and Juliet; just about Balmoral Beach and us. An early Saturday afternoon 70 years ago. She just free from work, I to the city from my working-class home in an outer suburb. We to meet and spend the rest of the day on an outing. There was a pack of sandwiches she had brought – sweet-corn filled. The first I had ever tasted. So delicious. How long had this been going on, I pondered? That taste followed the ride from Wynyard in a very swish corridor tram with padded seats to Balmoral Beach. The first time there for this unsophisticated teenager. It was a great adventure, crossing the harbour by the mighty bridge, another first, to rumble through posh streets of elegant houses such as I had not seen hitherto. Then down winding cuttings in the sandstone to a golden sand strand and a sparkling sea. What a thrill, what revelations. The lunch taken on a lawn in the beachside reserve under a clear blue sky, the air tempered by a soft breeze. Presently, a stroll along the shore towards an adjacent islet of rock. I was so elated by it all that I shyly took her hand in mine. Things of this nature must have developed slower then than now. Certainly did for this couple who, although companions for many months, had never made so bold a contact. Her hand so soft and smooth. Everything about her perfect; so pretty, so learned, so kind, so thoughtful. A dog came bounding up, its tail wagging, as mine might have done had I possessed one. It dropped a stick at our feet, then dabbed at it with paw while gazing expectantly into our faces. Quite obviously dog-speak for “Let’s play”. I released her hand, took up the stick, hurled it into the bay. The dog swam to the stick which was brought back to our feet to soak lower limbs with the water shaken from its shaggy coat, seeming then to grin as if to say, ‘What fun is this!’. The game continued. Although I was joyed by the whole outing thus far, I did not take her hand again. Later, I came to realise she was not so pleased and did not share my attitude to the friendly dog. Much later, approaching marriage, I was told how cross she was when the dog caused the unclasping of hands, was disappointed that the holding of hands did not resume that day. 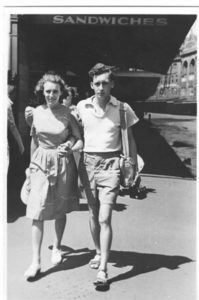 The years of marriage, though at first financially stringent, were idyllic. Three daughters and Mum a girlish quartet. In the early years, we combined to nail together a ready-cut house. 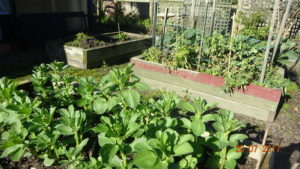 It is another tale of how the extensive backyard became a miniature farm. In time, the daughters branched out on their own. We became Darby and Joan, had paid off the home loan, were in the ‘Golden Years’, but knew that someday it would end in death and grief. There would likely be a great price to pay for the happiness we now enjoyed. She was diagnosed with an incurable terrible disease. The closer the end approached, the greater grew our love. We mourned together through those months. Two broken hearts, shattered. Not the mere bruised heart of all those years ago, irreparably broken hearts. Wiping away the tears and putting away sobering thoughts, have any of you been undertaking new or challenging projects recently. 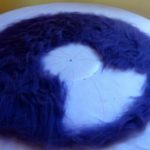 For over a year now I have been very interested in all things felt, reading about it’s origins, production and practicing the art. I have turned my hand to making flowers, vessels, scarves and more recently hats. 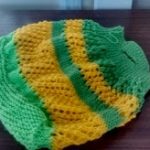 When I read about a Russian lady, Irina Spasskaja, who had developed a unique way of laying out Merino wool fibres to create a soft hat with a double brim, which at the same time was water and wind-proof, I had to investigate further. This culminated in my purchase of her 6 video tutorials (rather costly) followed by many hours of practice and the necessity to have a rotary board made to facilitate the work. This was achieved by purchasing a ‘lazy susan’ base and then going to our local carpenter wiz, Gary, who goes by the rather strange name of DUCKS GUTS FURNITURE, who luckily had a circular piece of wood in the corner of his work room, ideal for the task, and within 24 hours I had my rotary board for the grand sum of $30. Amazing. Here’s a picture of Irina showing her rotary board which I copied with the help of Ken of course. I won’t bore you with all the technicalities of the process except to show you a few photos of how the layout works. If you would like more details send me an e-mail (sbf@dcsi.net.au) and I will be happy to supply a fuller description of the process. Irina says you have to make at least 10 hats before you are ready to progress to the next level of expertise. I think that could be sometime in the future for me. One hat is a huge task. As many of you who are volunteers will know, this week has been National Volunteer Week with lots of activities and afternoon teas around the countryside. I celebrated by attending my local neighbour house and participated in a group session of laughter. We were told how laughter is beneficial for us whether it be real or false. We had to walk around the room making eye contact with each other, clapping, repeating hehehehe, hoooo, and making various movements, like simulating knitting, driving, digging and so on. Yes, this did cause laughter amongst many of the participants but left me with a silly false smile on my face. At least I did’t sit out like some, but I really didn’t enjoy the experience. Have any of you tried this activity I wonder. At the end of the session different messages relating to volunteering were read out, this one says it all for me. Volunteering can be an exciting, growing, enjoyable experience. It is truly gratifying to serve a cause, practice one’s ideals, work with people, solve problems, see benefits and know one had a hand in them. I am at last getting to the end of my abundance of apples, well almost, and in my quest to process the last few kilos found the following recipe which turned out really well, though for me the topping was too sweet, so I would suggest you reduce the amount of brown sugar a little if you don’t have a sweet tooth. 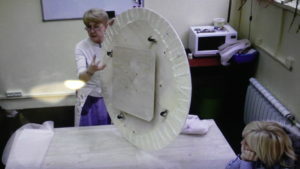 Preheat oven to 180 degrees C (350F) and line a round cake tin with baking paper. Mix butter, sugar and egg and then add grated apple. Mix well. Stir in sifted dry ingredients, mix well and pour into cake tin. Mix the topping ingredients together and spread evenly over the cake. Bake for 45minutes or until golden brown on top. 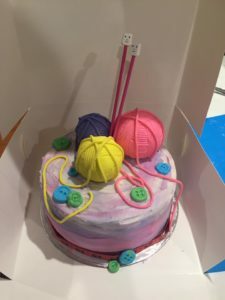 What do you think of this marvellous Birthday Cake produced by the sons of Christine (retired President of the Coal Creek Spinning Group) for her recent birthday? So appropriate and so clever: Congratulations Christine. Until next time, enjoy every day. 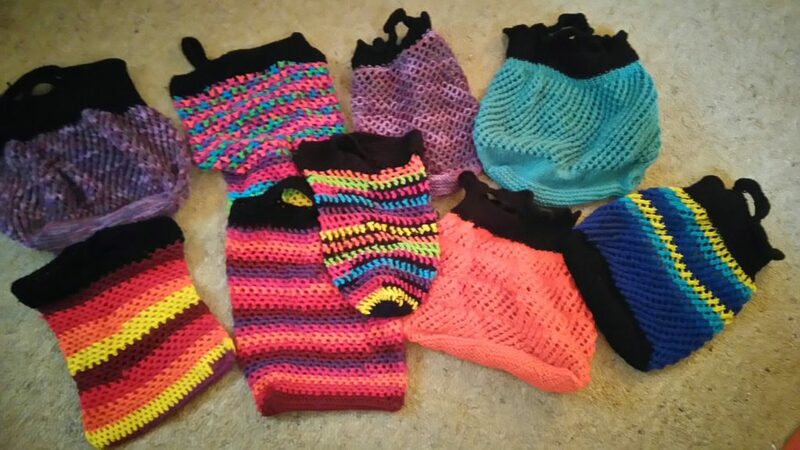 This entry was posted in Enjoying good company, Interesting people, Knitting and crafts, Projects, Recipes, Volunteering on May 11, 2017 by Janice Graham. I wonder how you remember your grandmothers. Did you live close and spend lots of time together? How did they affect your life? 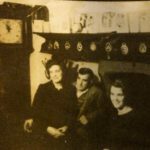 It’s a really interesting topic and one which I would like to explore if any of you are happy to share your memories with me in future blogs. At a Spinning Group party yesterday I asked Anne what she remembered. She said she spent a lot of time with her grandmother who loved hats and handbags and always gave her an Aspro when she took her out so that she wouldn’t want to go to the toilet. I asked how she thought she would be remembered. She said “that lady whose house was so full of wool you couldn’t get through the door”. I lived next door to my paternal grandmother whose name was Caroline. She spoke very little and always seemed quite hostile. In later life I realised she was very deaf and could hear little of what was being said so didn’t respond. 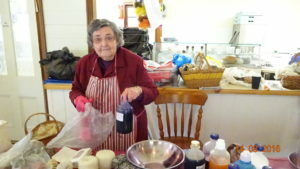 I loved helping her mash up the boiled potato peelings and mix with pollard for feeding the chickens. She did once come out of her shell, so to speak, when she told me that when she was at school the other kids used to chant: “Car, car, Caroline hang your britches on the line, when they’re dry bring them in and hang them on a safety pin”. After that revelation I never told anyone my middle name was Caroline. Sadly she died from a tragic accident which haunts me to this day. Unfortunately I didn’t know my maternal grandmother as she died in childbirth in 1912. I do have a photo of her and a letter she wrote to her sister just prior to her death, apart from that there is little information. What will my grandchildren say of me. Now wouldn’t that be interesting, though I hope they don’t have that opportunity any time soon. Today I thought I would share with you something that has had a special place in my heart and life since I can remember. It’s a grandfather clock. A couple of years ago I wrote some short stories relating to my youth which I published as an e-book. The first was about the grandfather clock and after many attempts at getting the story started I came up with the idea of writing from the point of view of the clock, therefore the clock is the narrator of the story. To save space you can read the story by clicking on the link below. It doesn’t quite open as I would like. When you click on the link it takes you to my Reply Page where you have to click again. Very strange. I’ve sought the help of my son but he’s busy so I’ll have to leave it as it is. Although the clock resides at my daughter’s house, due to lack of sufficient space in my house, it still presides over events of the family. Unfortunately its hourly ring has had to be curtailed due to it being a little annoying during the night. 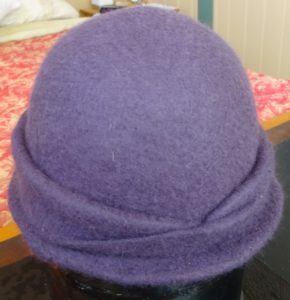 Recently the Coal Creek Spinners Group participated in an exhibition of items made from just 100g of wool. The variety was amazing from small toys to beautiful wraps, to hats, scarves, wall hangings, skeins of different wools and one really special exhibit, a jumper so finely crafted it was hard to believe the skill of the knitter (view in the video) who won 1st prize at the Bendigo Wool Show for her work. 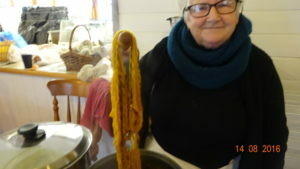 As part of the activities of the group there was a visit to Mohair Rare, a working farm, producing mohair yarns for spinning and other crafts. I have to thank my husband for producing this video which is very informative showing both the exhibition and the activities of the farm, explained in some detail by Lill Roberts of Mohair Rare, and returning at a later date to view the shearing of the goats, one of the shearers being a lady who kindly explained on camera the process. 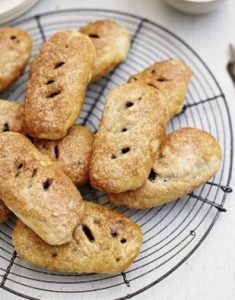 Now that Christmas is approaching its wise to have a few goodies on hand, possibly in the freezer, in case friends or family pop in unexpectedly. 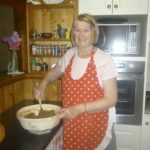 I have used the recipes I am going to share since back in the 60’s when I used to subscribe to a small publication which was full of ideas for the freezer. Quite an innovative concept in those days plus there was always a home testers note about the recipe which I can confirm freezes really well. I have also made and stored portions of the Fudge Icing in the fridge and used on other cakes. Very handy. Grease the dishes. Sift together flour and cocoa then in another bowl beat butter and sugar together until light and fluffy. Beat eggs and add gradually beating mixture well. Fold in sifted ingredients with milk. Divide equally into dishes and bake at 180C for about 50 minutes. Fan forced ovens a little less. Cooked when centre of sponge is springy when pressed. Cool before icing. Melt butter in heavy pan. Add cocoa and cook over low heat for 1 minute. Remove from heat, stir in milk and sifted icing sugar. Cool then pour from pan onto cakes in foil dishes. Leave to set. Line a 450g loaf tin with clear film or glad wrap leaving about 2.5cm hanging over the edges. Place butter, marshmallow and cocoa in a pan and heat until melted. Remove pan and stir in biscuits. Press mixture into loaf tin and chill for about 2 hours until firm. Turn onto serving dish. Melt plain and white chocolate in separate bowls over hot water. Spoon on top of cake and swirl together with a skewer to create a marbled effect. Chill until set then cut into slices. It freezes well but probably best to add the chocolate topping after thawing. I MAY LOOK LIFE I’M DOING NOTHING …. 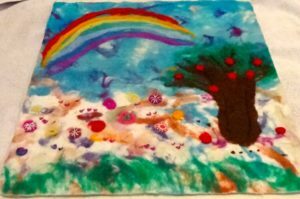 This entry was posted in Christmas preparations, Enjoying good company, Interesting people, Knitting and crafts, Outings, Recipes on December 7, 2016 by Janice Graham. Hello everyone – once again I have a few activities and snippets of information to share. Do feel free to write a comment on any item in ‘Leave a reply’ at the top of this blog. It’s been a long time since I gained so much enjoyment out of dressing up. I don’t mean getting ready for a special outing but actually dressing up in costume and acting a part. It’s not something I’m accustomed to doing and I found it a little difficult at first but I can certainly recommend it for letting yourself go. My daughter commented when seeing the photos that she had never seen me having so much fun. 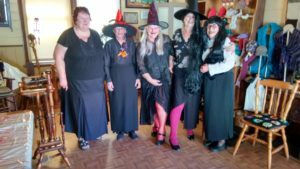 More than 4000 people attended the annual Halloween event at Coal Creek Heritage Park in Korumburra on the 29th October and myself, along with other members of the Coal Creek Spinners group, dressed up as witches and welcomed visitors into our coven. Here’s another clearer photo of Avis which I thought you would like to see. She is a marvellous lady and an inspiration to us all. I usually do my Christmas Puddings during October but somehow this year I’m a little behind, though it probably doesn’t matter, they will still taste good on the day. As customary Ken and I stirred the mixture and made three wishes. I always make the same wishes which I think are supposed to be kept secret. Being a little nostalgic I decided to look back over my Christmas pudding photos. I find it very comforting to see I am carrying on with the same traditions as my Mum and Dad. 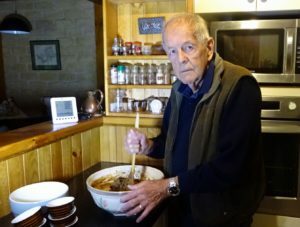 How well I remember them doing their puddings, except in their case they made them as gifts for those friends and family who could no longer make them so their kitchen was filled with steam for a week or more. Mix all ingredients thoroughly. Pot in dry jars. Keep in a cool dry place. NOTE: I added some water to make the mixture a little more fluid and because I didn’t have the specified spirits to hand I used some Mezcal, a type of tequila, made from Agave nectar that we brought back from Mexico 10 years ago. At last I found a use for it ! Some information about Agave Nectar (you may already know of course) – Agave nectar, sometimes called agave syrup, is most often produced from the Blue Agaves that thrive in the volcanic soils of Southern Mexico. Agaves are large, spiked plants that resemble cactus but they are actually succulents similar to the familiar Aloe Vera. They come in many sizes and colours. The Aztecs prized the agave as a gift from the gods and used the liquid from its core to flavour foods and drinks. Now, due to increasing awareness of its beneficial properties, it is becoming the preferred sweetener of health conscious consumers, doctors and natural food cooks alike. 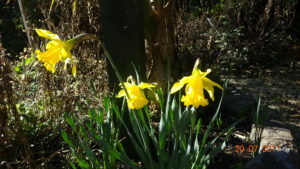 What joy the spring flowers bring even though some of them are having a bit of a struggle coping with the very strange weather we have been experiencing. 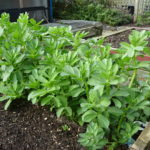 The wind has played havoc with many plants coupled with the naughty behaviour of Ken, who in his effort to control the weeds, accidentally pulled up my very best sunflower specimen which I had been nurturing. Admittedly it was in a strange location, amongst the loganberries, but it was the only space I had available at the time of planting. Fortunately I have three more in another spot. He has been forgiven – somewhat. 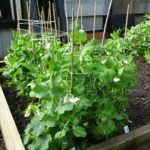 My Lilac was a real disappointment, only having a couple of blooms, but the various clematis and sweet peas are lovely. 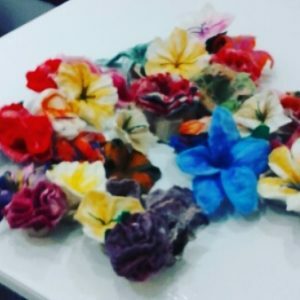 Next time you find a sachet of silica gel in a handbag or in a box of new shoes, don’t throw it away – these multi-purpose little sachets have a range of practical household uses or so I have read in a recent article. I have picked out what I think to be the best. Preserve old photos and books – Moisture can wreak havoc on old photos and books. Silica gel placed inside an album or in an old book will help absorb unwanted moisture and can even do away with the musty smell. Absorb unwanted smells – If you carry your gym bag with you between work and home, try popping a few silica gel bags into the pockets to keep things fresh. You can also try this in your shoes – the silica gel bags will gradually eliminate dampness and help prevent the bacteria that causes smells from thriving. Preserve Christmas decorations – For the majority of the year when they aren’t in use, Christmas ornaments tend to live in the far corners of our cupboards or tucked away in the loft or garage. Keep them safe from damage with silica gel bags; they’ll draw away moisture and keep your precious items at their best. 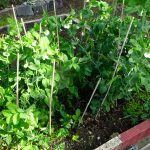 Saving seeds – If you’re a keen gardener and you save seeds between seasons, you’ll know how important it is to keep moisture out to prevent sprouting and molding. Put seeds in individual envelopes and then store together in an airtight plastic container – add one or two silica gel sachets to soak up any residual moisture and keep them safe until it’s time to plant again. For drying flowers – Speed up the process of drying and pressing flowers with the help of silica. Put your dried flowers in a paper bag with a packet or two of silica gel to help speed up the process. Apparently if you find your silica gel bags aren’t working anymore, don’t throw them away – you can dry them out by placing them in the oven on low temperature – about 95C – for one to two hours. Then keep them in a sealed sandwich bag until they’re ready for use again. This entry was posted in Christmas preparations, Enjoying good company, Frienship, Gardening, Interesting people, Knitting and crafts, Recipes on November 14, 2016 by Janice Graham. I just can’t believe where the past few weeks have gone. I made a resolution to post at least every couple of weeks but despite my good intentions, I’ve failed. I recall a sign on the wall of the office where I had my first job at the age of 16: The secret to a happy life – never argue, never explain. This sign was pointed out to me on many occasions by the Office Manager when I wasted too much paper failing to erase errors in my typing. Though I’m not sure I agree, it’s stuck with me for a very long time. Do you sometimes wake up one morning and say to yourself or your partner “let’s go out for the day’ ? These impromptu days out can prove to be the best. That’s what happened last week when I woke up and thought blow all the jobs I had planned, the weather forecast was for a sunny day, so why not go out and enjoy. Ken had read about filming waterfalls and suggested we go to Agnes Falls Scenic Reserve which is located in Gippsland around a 15 minute drive from the township of Toora and about 1¼ hours from our house (2 hours from Melbourne). I packed a picnic lunch and we were off. When we got home Ken put a short film together so I could include it in this blog. It just gives you an idea of the Falls but unfortunately not the rest of the beautiful surroundings. You may need to turn your sound down when viewing as the water falling is really loud. 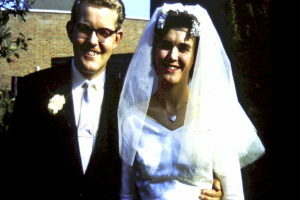 A couple of weeks ago it was our 56th Wedding Anniversary. The whole family met at our daughter’s house to not only celebrate our Anniversary but the birthday of our son and two of our grandchildren. I retrieved our Wedding Album from the back of a cupboard to take to the party and after tea and a very large cake, we sat around a huge table to chat. The grandchildren talked about their courses and activities and future prospects, our children chatted about their jobs and hopes and Ken and I listened and reflected on our lives. The album was passed around with much laughter. It was so good to remember that special day 56 years ago and bring to life aunts, uncles, parents, grandparents and friends who will forever be in our hearts. Is your wardrobe in a mess? Sort the clothes you don’t wear. Store these out of sight until you’re ready to donate or discard them. Set a limit. Determine the number of items you’ll have in your wardrobe, be it a core 10 or wider 33 or in between. Set a time. Decide how long you’ll wear your capsule wardrobe. One to three months is a good starting point. Curate your clothing. Replace ill-fitting or well-worn items as needed. Enforce a one-in-one-out policy. When you buy a new item, donate or toss an old piece. I wonder if it will work !! 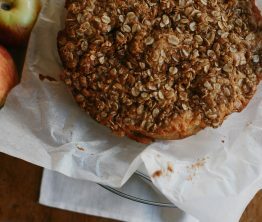 With warmer days on the horizon (I hope) here in Victoria and the sun still shining in the UK, this recipe is a winner. 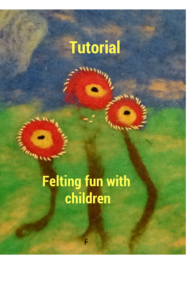 In my last post I mentioned that I hoped to make up an easy to use kit for wet felting with children. This turned out to be a much bigger task than anticipated but eventually I was able to source all the bits and pieces necessary and now have the kits ready to go. I tried to photograph the actual kit, but the bag caused a reflection so this is the label. My next challenge is to do a filmed tutorial with two of my granddaughters and post it on YouTube. 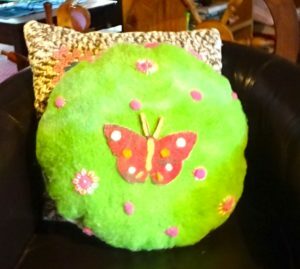 They haven’t felted before so it should be a good test for the kit. Does anyone have an interesting project they would like to share? Let me know so I can include it in the next post. 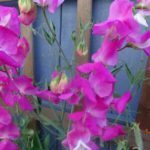 This entry was posted in Enjoying good company, Family activities, Knitting and crafts, Outings, Projects, Recipes on September 24, 2016 by Janice Graham.